Faces were melted en masse at Iron City in Birmingham, Alabama on November 14th as Coheed and Cambria commanded the stage at the venue. Drawing a capacity crowd, the prolific band closed out their 2018 concert tour schedule in the Magic City with an aces performance that registered with everyone inside the building. The performance put a cap on the band’s tour to support their latest album, “Vaxis - Act I : The Unheavenly Creatures”, which was released in October on Roadrunner Records. This was my first experience getting to see and really listen to Coheed and Cambria perform. I’ve always had a soft spot for prog-rock and prog-metal so I definitely got down with what they did with this show. Lead singer and guitarist Claudio Sanchez is a hell of a front man, and it was a blast getting to photograph him. He has great body animation on stage, and that’s accented with his abundance of hair. His actions on stage made for some really fun captures. 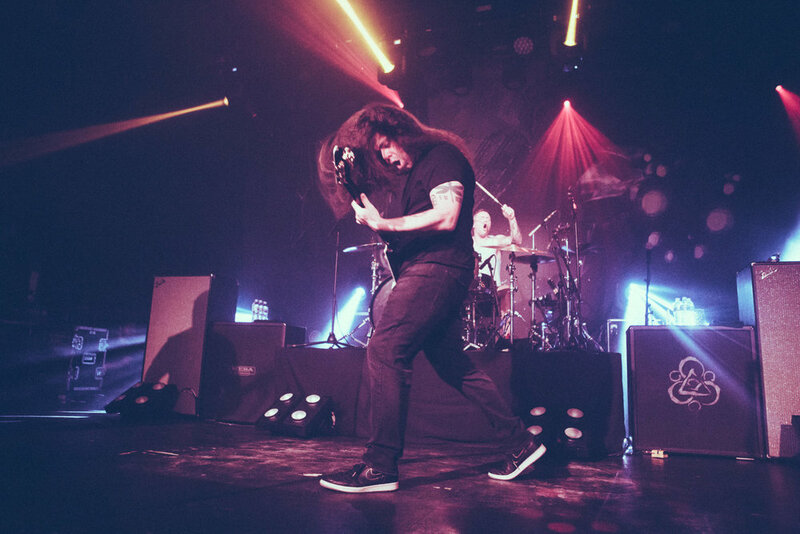 This might have been my first time to photograph Coheed and Cambria, but I sincerely hope it’s not my last.